After the success of our blog “7 Steps to Laptop More Ergonomically,” we thought it was important to look into desktop ergonomics. 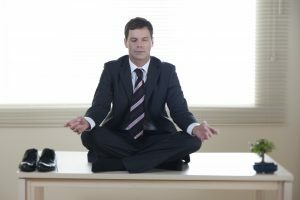 Take frequent breaks – Take at least one break an hour. And we would go one step further than alternating between sitting and standing. Don’t just change your position! Take a break, look away from the screen but not only for a few quick seconds. 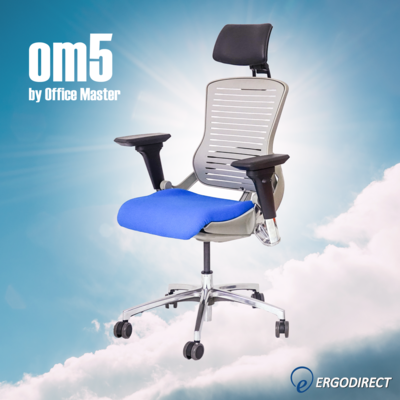 Get out of your chair or your standing position, and take a walk around your workstation, cubicle or your floor, whatever possible within the space constraint. Stretch your arms, bend and touch your toes to give your body a quick jolt. 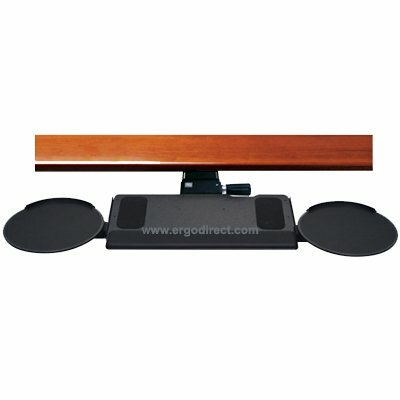 Monitor screen is adjustable – Make sure that you can adjust your screen vertically or horizontally so that you can place the screen according to your height and eye level. In order to do that, mount your monitor on an adjustable arm. You have a choice of single, dual or multiple monitor arms. Comfortable chair – Is your chair comfortable enough that your feet are placed flat on the ground and there is a distance of about an inch or two between your upper calves and the seat pan? Is the lumbar portion of your back well supported by the backseat of your chair? Ideally you should try sitting in a chair before purchasing. Relaxed shoulders – Are your shoulders relaxed while you type at your desktop? 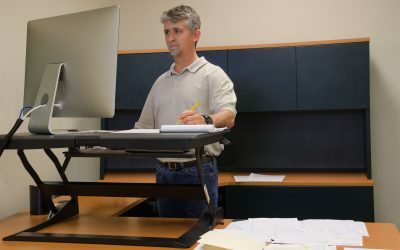 One way to ensure a relaxed shoulder posture is to install an under desk keyboard tray which will position your keyboard just an inch or so above your thigh. Dual micing – Most of us have a dominant hand which we use for all our activities. Mousing is one of these activities. But if you are right handed and continue to use a mouse for all your typing, it’s not going to take long to develop carpal tunnel syndrome, wrist pain, tingling in the fingers and so forth. So however hard it sounds, learn to mouse with your non-dominant hand. You’ll be surprised how much pressure that takes off of your dominant hand. Screen is not in the path of direct light – Is your screen facing the window? That’s definitely going to hurt your eyes and make work stressful. Get an ergonomic evaluation – If you don’t want to deal with any of the above issues and have much rather that experts take care of how your workstation is set up, please call us at 888-456-ERGO or send us an email. 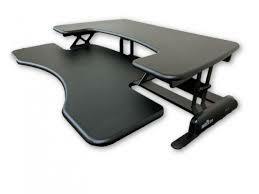 We will do an ergonomic evaluation of your setup and recommend the appropriate ergonomic equipment for you.